Amanda L Kennedy, Haudenosaunee from the Oneida Nation of the Thames, Bear Clan; was a colonized, marginalized Indigenous child and youth of yesterday, and is an Indigenous Child and Youth Advocate today as well as a Social Entrepreneur and the Founder of Yotuni “Its Growing” Social Enterprise. Based on her Indigenous ways of knowing which is based on various cultures and tradtions as well as personal experiences, Amanda will be holding a Sharing Circle that will be opened with a prayer acknowledging Mother Earth and all of creation and a smudge using Sage, one of the 4 Sacred Medicines. Amanda will be sharing her wisdom and teachings on some Indigenous truth and issues of the past and present. This will be followed by teachings that helped her on her journey such as the Anishinaabe Teaching on the Seven Grandfather Teachings, Four Sacred Medicines based on her Iroquois Longhouse ways of knowing, as well as some of the Ojibwe and Cree Teachings on the Medicine Wheel Teachings; with the intent on bringing together positive, respectful open minds, learning awareness on some truth of the Indigenous People and how to take care of the self holistically, physically, mentally, emotionally and Spiritually in a kind and gentle way. Empowering People from all walks of life to come together with courage, honesty, respect, love and humility; working towards solutions on decolonization and building stronger, positive relations with the Indigenous People. Amanda L. Kennedy is First Nation from the Oneida Nation, and Bear Clan. Amanda was urban raised growing up in Manor Park, a colonized, marginalized, Indigenous child and youth of yesterday and a witness of violence, brutality, crime, addictions, racism, lateral violence, bullying and more in London, ON. Manor Park was predominantly Oneida community, and became a safe haven between being an urban Indigenous person and marginalized in the city of London. In high school, Amanda created a native committee and brought awareness of Indigenous culture to Westminster Secondary School and organized and facilitated the first Indigenous Social. As a young youth Amanda helped, supported, and mentored her peers, organized community events and began to be asked to volunteer and facilitate camps, conferences and youth groups. Amanda was a Social Worker from age of 21-26 for a Native Woman’s Shelter in London, ON, supporting many Indigenous and Non-Indigenous women, children and youth who were witnesses of violence and fleeing abusive situations. 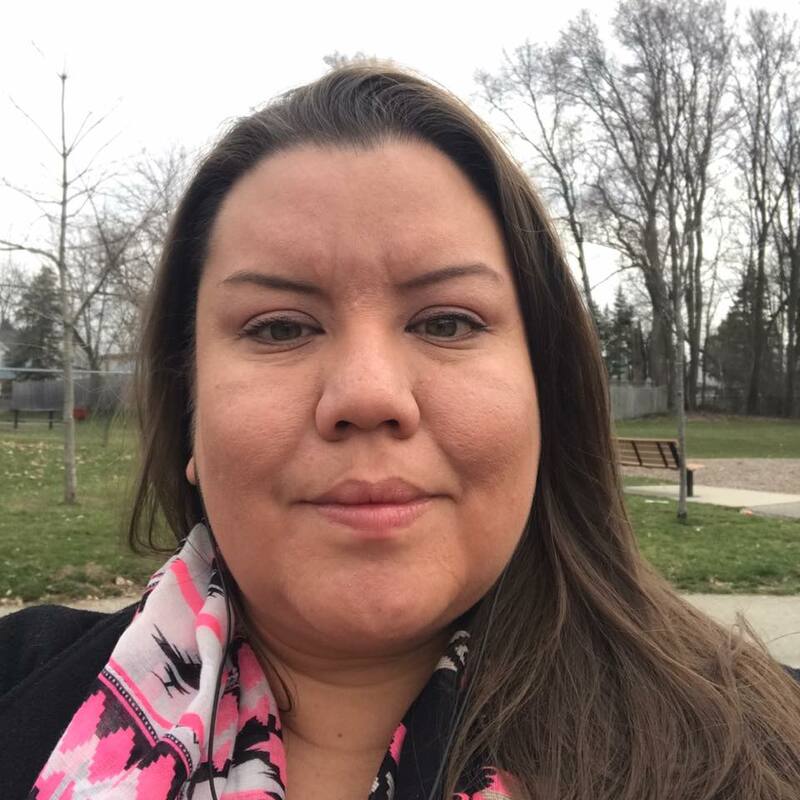 Amanda then entered the business and finance field and was bookkeeper in Toronto and at Atlohsa Native Family Healing Services Inc. in London, ON; and those experiences supported the development of administrative skills. At the age of 29, Amanda was a teacher at the Toronto Council Fire where she worked with Indigenous Youth and Adults, upgrading and preparing their-selves mentally and emotionally for College, assisting as a student support, computer teacher and administration. Through that experience Amanda decided to become a Social Entrepreneur utilizing her experiences, lessons, knowledge and tools. Amanda was one of four founders of a Profit Corporate Business working with the Indigenous Students and adults, it was a great learning experience however Amanda decided she wanted her business to be non-profit, went on her own and founded Yesalihu’ni “They Will Teach You” as an initiative to advocate with youth and families with courts, policing schools, CAS, supporting families with addictions and traumatic events in London (2013). In 2016, she opened Yotuni “Its Growing” as a social enterprise to empower the children and youth and support them mentally, emotionally, physically and Spiritually, so that they can reconnect with their grassroots, learn, heal and grow to empower more change and leadership. Yotuni currently works with children and youth from the CMO Territories; Chippewa, Munsee-Delware and Oneida Nations.